Heaven’s Best is a family owned and operated company that specializes in quality carpet and upholstery cleaning services to both commercial and residential customers. Heaven’s Best services all locations within the Big Horn Basin. Owner Schane Wiles is dedicated to providing exceptional quality and customer service. At Heaven’s Best, our goal is to turn every customer into a lifetime customer. If you have carpet or upholstery that is in need of cleaning, give Heaven’s Best a call. We’ll make you happy you did! Schane is a native of the Big Horn Basin… born and raised. He and his wife, Carolyn, just celebrated their 7th anniversary and they have 3 crazy kids. Schane graduated from BYU-Idaho with a degree in Construction Management and a Business Minor. 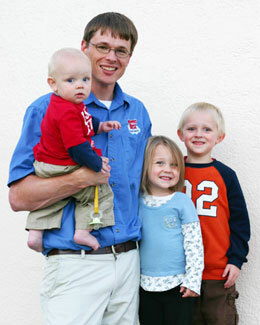 He loves owning his own business, as it gives him more time to spend with his family.